Mahmud reports: "`Abdu'l-Bahá and we were invited to the home of the Persian Consul General, Mr Topakyan. On the way the Master stopped by the home of the minister who had visited Him the previous day. When he saw the Master approaching from the distance, he rushed out of his house and with great humility and reverence thanked the Master for gracing his home. His zeal and joy increased minute by minute as he listened to the Master's encouraging words. 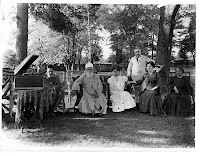 `Abdu'l-Bahá then continued the journey by automobile through the wooded countryside and went directly to the home of the Persian Consul General in Morristown, which is one of the most delightful places in the region. One of its charming features is the creek that runs through the green-clad hills whose trees and verdure face the Consul-General's house. This beautiful setting appealed both to the heart and the soul. 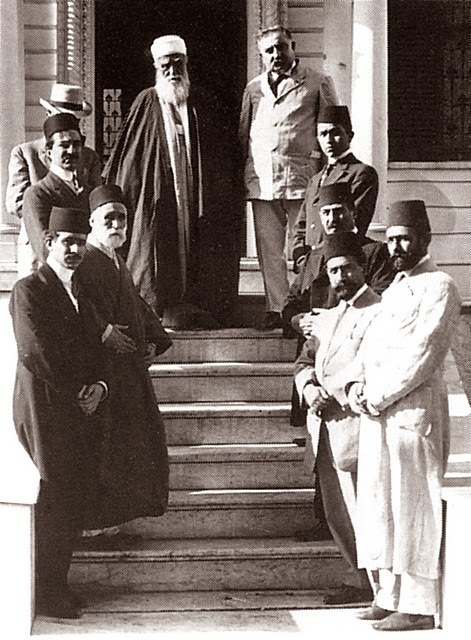 After the arrival of the Master, who was welcomed by the Consul General and his staff, several important people were invited to meet `Abdu'l-Bahá. A number of reporters also interviewed Him and expressed their delight in His answers to their questions. Around lunch time, a photographer arrived and took two photographs of the Master, one before lunch was served and the other while He was seated at the table. 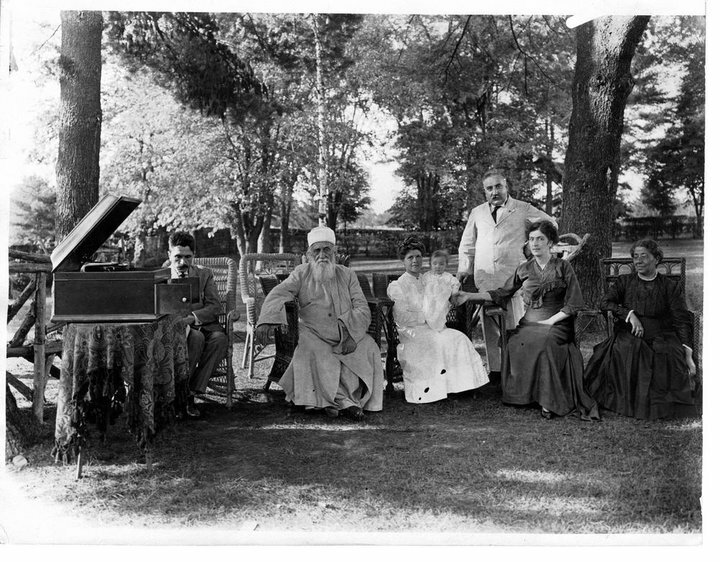 In brief, the Consul General was most courteous and humble in the Master's presence, to such an extent that he refused to sit without permission. He recorded `Abdu'l-Bahá's talk and conversations for publication in the newspapers and was honored to host the Master. After the Master had a brief rest and a stroll in the afternoon, another reporter came to the house. 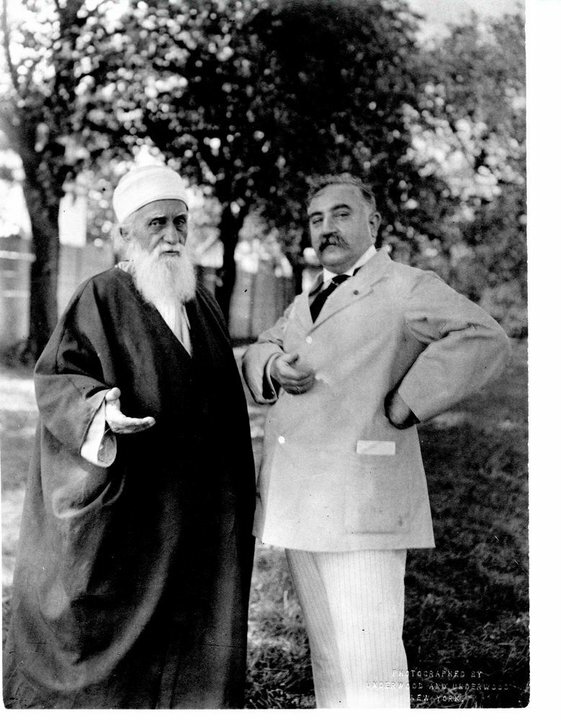 As he listened to `Abdu'l-Bahá's explanations about the teachings, he recorded them for publication. Then with great majesty, dignity and grandeur, `Abdu'l-Bahá left for New York. When He arrived home, He did not permit us to prepare dinner for Him. Instead, He ate some watermelon and bread and retired for the night."